The Durango is a sports utility vehicle by Dodge that excels in its class. With the third-generation in 2001 came a transition to unibody construction from a body-on-frame approach. Since the 2014 facelift, there have been mostly just minor revisions to aesthetics and performance. That was certainly the case with the 2018 Dodge Durango, which was really about dialing in perfection. 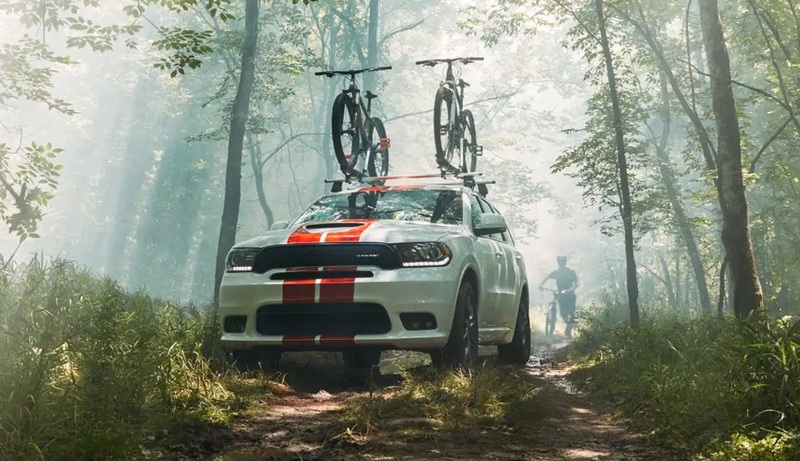 With the 2019 Dodge Durango, we something similar excepts perhaps a bit more aggressive as Dodge looks toward the future. 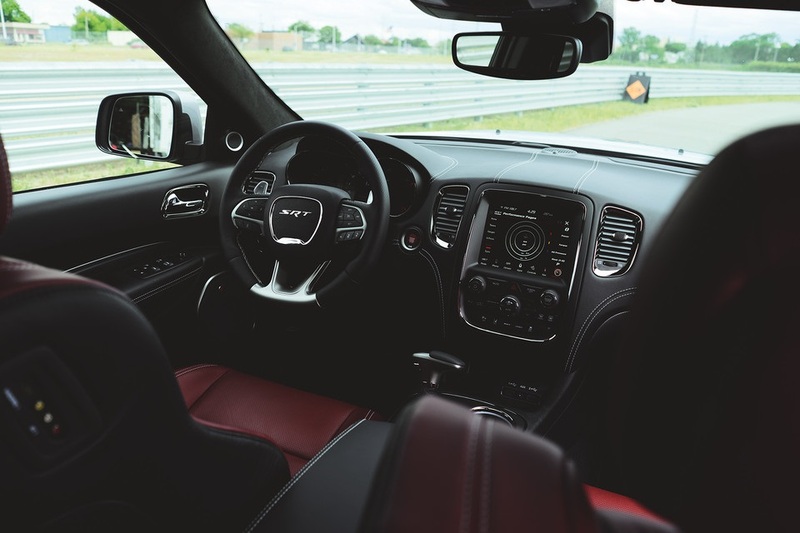 The 2019 Durango has been referred to as close as you can get to a muscle car in a SUV, and one critic called it the baddest vehicle on the road for moms and dads. There are tweaks inside and out for all trim levels, of which there are five this time around. 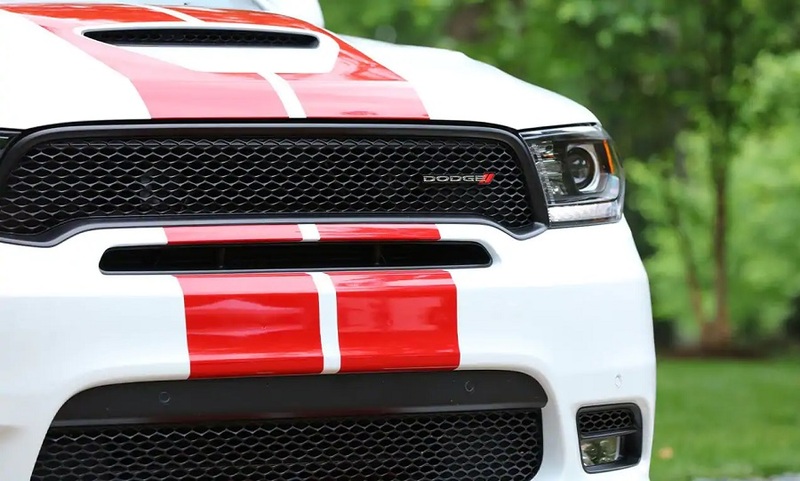 Dodge has always offered a lot of customization options for the Durango, but now there are a lot more and perhaps more than there have even been in the history of the vehicle, so this should be please those who like those special touches. With that in mind, let us present our 2019 Dodge Durango vs 2018 Dodge Durango breakdown. Another great reason to visit Melloy Dodge in Albuquerque is to see this refined interior firsthand as well as the new options available. One option we're particularly excited about is leather seats for the SXT, which really gives the trim a premium feel. The SXT has two rows by default. You can also upgrade to a third row, or get that third row included with the GT. The Citadel second row now feature captain's chairs by default, and that was among the most popular options last year. There is also a new 825-watt Harmon Kardon audio system that features 19 speakers and is available as an upgrade for either the Citadel or R/T trims of the 2019 Dodge Durango. Interestingly, Dodge is offering cloth seating as option for the GT, which has always had leather, which should intrigue those who'd rather not have the leather due to children or just preference. As mentioned, you'll now find five trims at your local dealer serving Albuquerque Santa Fe New Mexico: the R/T, SRT, SXT, GT and Citadel. While this is down from last model year's seven trims, be mindful that the missing two-the SXT Plus and anodized platinum Citadel-were really just sub-trims. Perhaps the biggest change with the 2019 exterior comes with the GT, which now gets the performance front fascia and LED fog lights standard and has an option for the SRT hood as well. Another interesting reveal for our 2019 Dodge Durango vs 2018 Dodge Durango is that the GT now comes with dual exhaust with bright tips as well as LED running lights. The Citadel has a gotten some great additions as well, including HID headlights with automatic high beams as well as windshield wipers that can sense the rain, enable themselves and even adjust speed based on the intensity. The GT has two new 20-inch wheel design options: Satin Carbon and Brass Monkey. 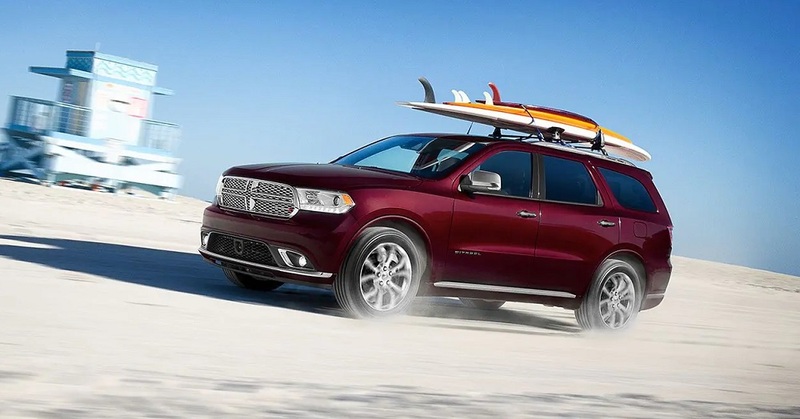 Dodge Durango models are front-wheel drive by default, but you can upgrade to all-wheel drive as an option. You test-drive both configurations at your local dealer serving Albuquerque Santa Fe New Mexico. Note that the SRT is an AWD-focused vehicle and only available in that configuration. The default engine for the SXT, GT and Citadel is the 3.6L Pentastar V6. It generates 298 horsepower and 260 pound-feet of torque and can tow up to 6,200 pounds. The R/T comes with a 5.7L Hemi V8 that generates 360 horsepower and 390 pound-feet of torque and can tow up to 7,400 pounds. This engine is also available as on upgrade for the Citadel. The base Durango also offers a 24.6-gallon fuel tank, electric power steering, a 160-amp alternator and 650-amp maintenance free battery as well as an auxiliary battery. In addition to four-wheel disc anti-lock brakes, ready-alert braking is standard across all models. The 2018 Dodge Durango scored very well with IIHS, NHTSA and other organizations, which is a big reason why it was such a popular choice at Melloy Dodge in Albuquerque. Our 2019 Dodge Durango vs 2018 Dodge Durango comparison revealed no major changes or additions but rather a refinement of what had already worked well. This includes advanced multistage air bags up front as well as supplemental airbags along every row of the vehicle. If you loved the 2018 Dodge Durango, then Melloy Dodge in Albuquerque is confident that you're going to fall head over heels for the 2019 Dodge Durango. We invite you to visit us or any local Dodge dealer serving Albuquerque Santa Fe New Mexico. By stopping by, you not only get to see the vehicle up close and personal but have access to the lasted information, including discounts, specials and financing options, and you can even take it out for a test-drive. We have a wide selection of Durango models here for you to peruse and drive, and we look forward to the opportunity to assist you however we can.